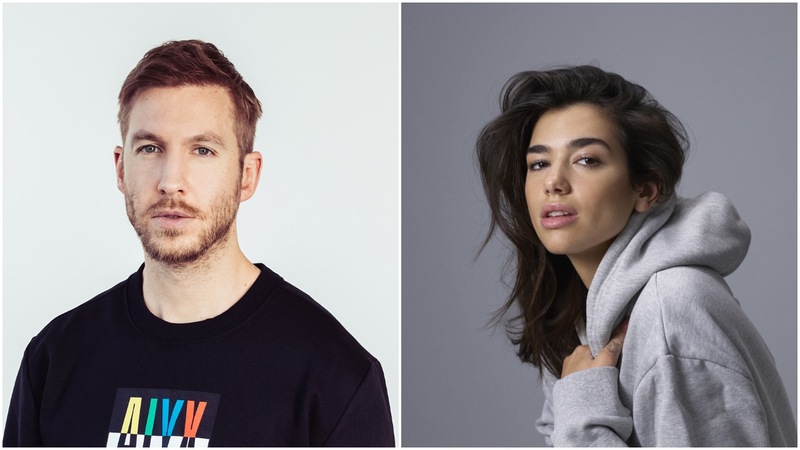 Expect to be listening to this for a long, long time..
As collaborations go, any song that puts Calvin Harris with Dua Lipa is set for success. The Scottish DJ has a long history of working with pop princesses (Rihanna, Katy Perry, most recently SZA), and a single with the newly crowned Queen of the Brits feels like a decisive move for all involved. Given this, it’s a pleasant surprise to find that ‘One Kiss’ isn’t your next generic pop song. Instead, Harris has created an intensely listenable tune that succeeds in putting a fresh twist on an old sound. Harris’ composition is simple yet effective, looping simple beats and keys into a blissful blend of deep house. ‘One Kiss’ rolls on for eternity with its dreamy and repetitive cycles, as Dua Lipa croons its intensely catchy chorus (“One kiss is all it takes / falling in love with me”). Without question, her distinctive vocals are the perfect choice for the track, proving the 22-year-old singer has a lot still to give following the success of her debut. Calvin Harris, meanwhile, flexes his creative muscles to show that his reinvention – which started last summer with the brilliant Funk Wav Bounces Vol. 1 – is far from over. ‘One Kiss’ does rumble on a little too long – the 3:35 runtime could easily be cut by a minute, and surely will be when it imminently infiltrates radio playlists. But, all in all, this nostalgic tribute to deep house is a fresh addition to the music scene from two experienced talents. Expect to be hearing it for a long time yet.